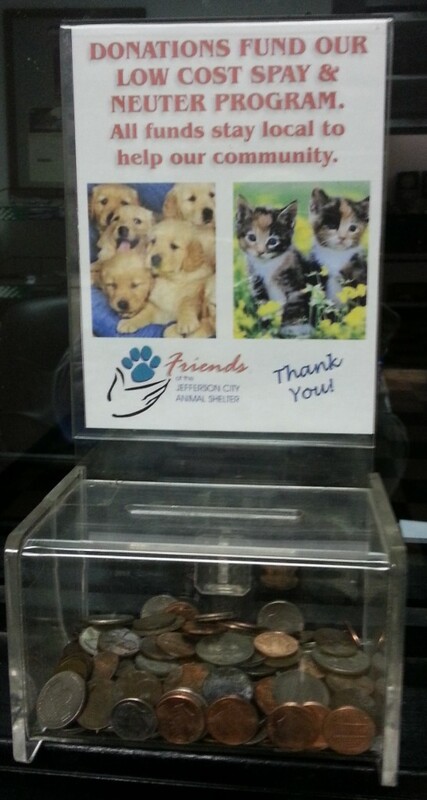 We have donation canisters set on the counters of local businesses throughout Jefferson City. Please donate when you see them. Every penny counts! If you own a business and would like to support us by placing a canister please contact us.